Can she paint?! Evidently a lot. 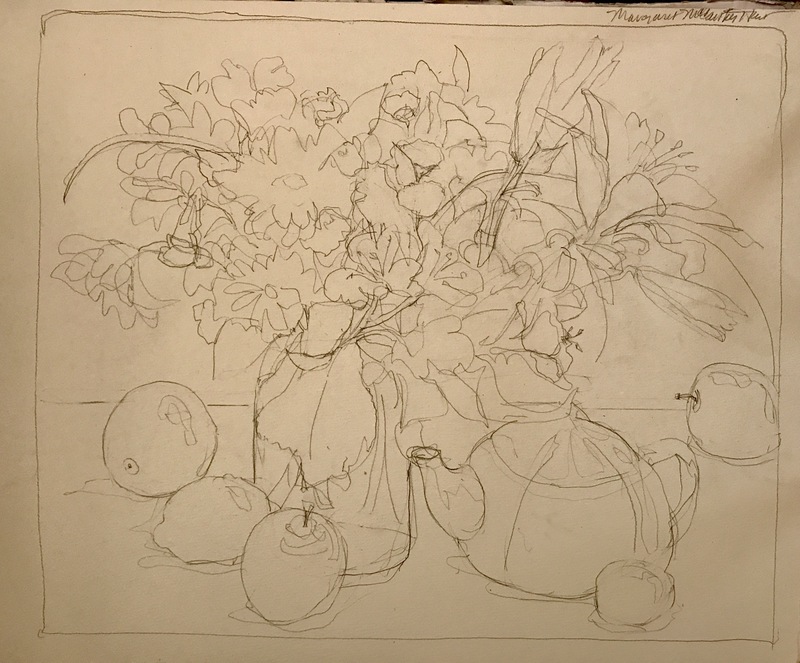 While I love most of the bouquet with the possible exception of the top is too flat aka you can draw a straight line across it I really like this painting EXCEPT that darned teapot. Here’s the sketch again. I really liked the sketch which is odd since now I don’t like the teapot in it. Maybe it’s just that I don’t like that teapot? Thinking about repainting it again when I get home from my meeting today without the flower pot. Have to strike fast those flowers are getting droopy. Especially those daisies. 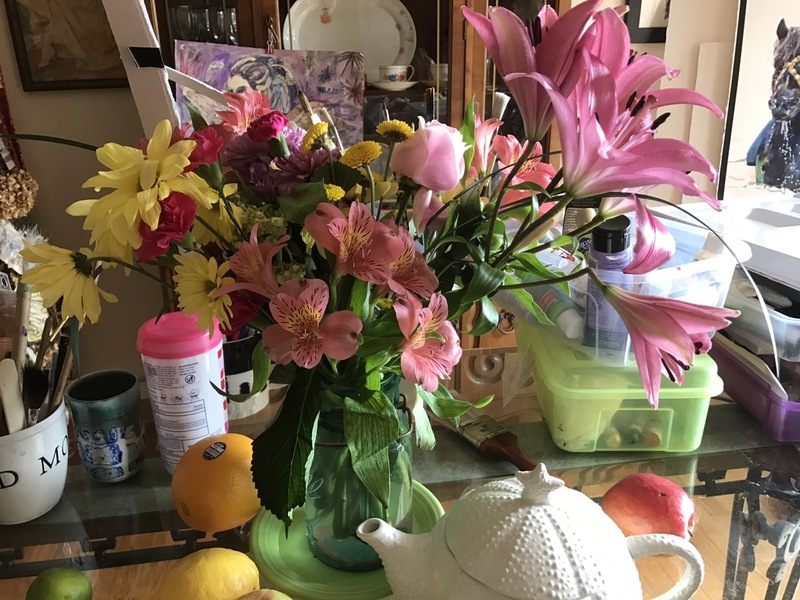 And those lilies. Well they are dying. They are taking over the world. Colors used Winsor yellow, ds carmine, cobalt violet, mineral violet, oxide of chromium, viridian?, cerulean, ultramarine blue, burnt sienna, cad orange, cad red light or scarlet lake, sap green. 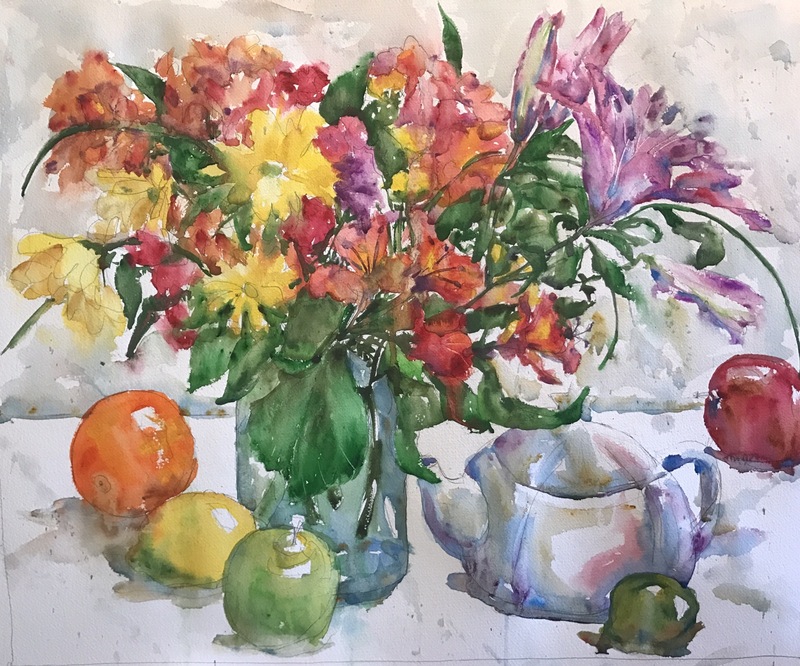 Love this still life! I like your watercolor work as much as your acrylics.